I pulled this little guy out of an old projector on the “junk shelf” of NYU ITP and named it ‘speaky’. All it needed was a home! Poor speaky. To find a home for speaky, I went to the Container Store; a place that has a million things that you didn’t realize you needed until you saw them. 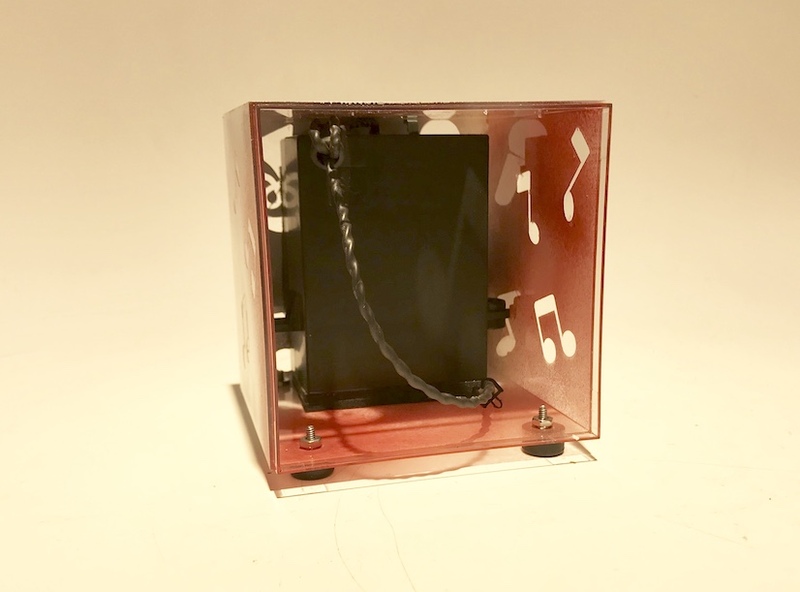 I ended up picking a simple 4″ x 4″ x 4″ acrylic cube with a lid as speaky’s new home. It was a good fit for speaky. 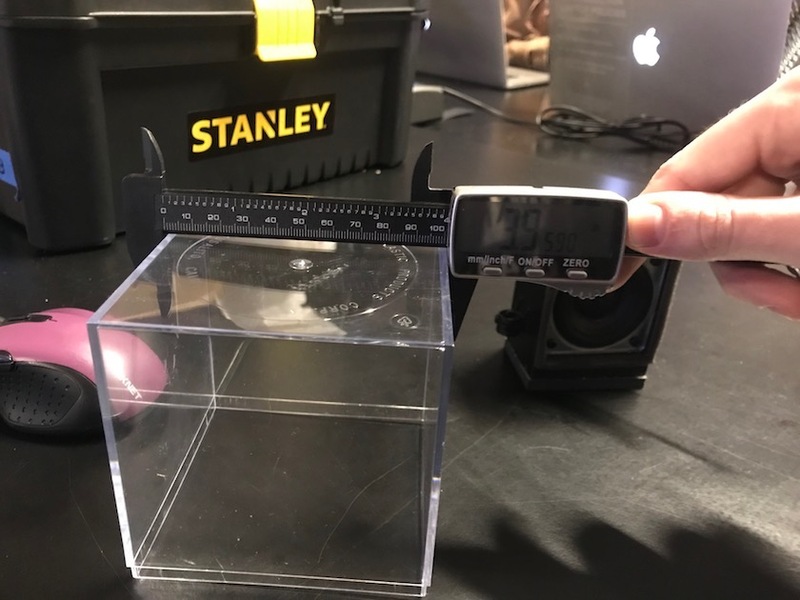 Using my handy digital calipers, I took the exact measurements of the box and speaker. A. To create a laser cutting template. 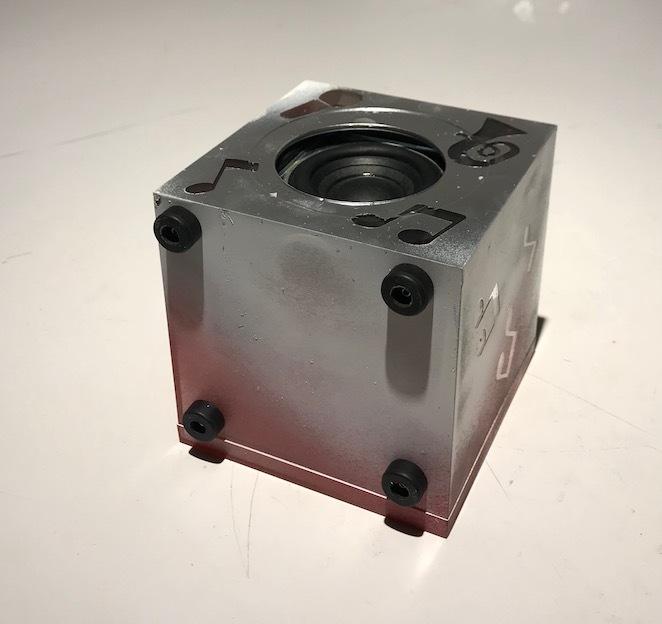 Speaky can’t express itself without and outlet from the enclosure, so I laser cut a hole the size of the speaker using the measurements of the enclosure and the speaker. This was fun because I lowered the laser cutter bed all the way, and it exactly fit the box! Happy accidents. B. To make appropriately sized decorations. 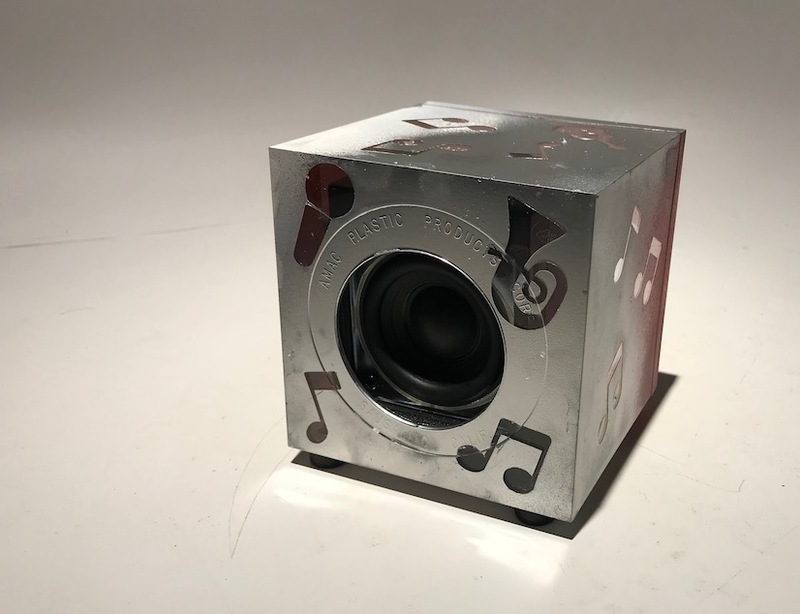 Thats right – just like to the decals used for the crystal, I returned to the Cameo vinyl cutter to make some music iconography for the enclosure. It was very nice to have used the tool before, everything went off much more smoothly. I then attached the decals to the box, covered the hole with painter’s tape and got to it. 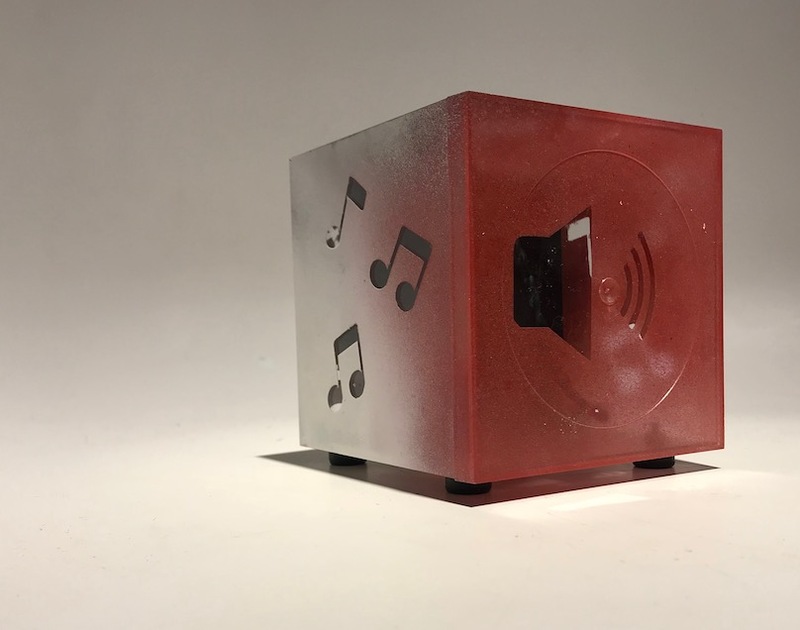 I tried to blend some colors together to give the cube a little more personality. I then removed the decals and put speaky in his new home! Finally, I added some mothafuckin’ rubber feeeeet! Nice work, I like the enclosure you chose. Are you sure that it is acrylic? Perhaps painting the inside of the box would have a more durable paint job.